This past year has been action-packed for the global insights industry. A research tech company, Qualtrics, was bought for $8 billion. Privacy concerns dominated conversations, thanks to the Cambridge Analytica scandal and the implementation of GDPR. Plus, there was the predictable buzz about AI and Blockchain and their potential impact to our industry. 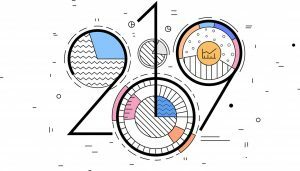 While 2018 brought both challenges and opportunities, in my conversations with clients I get the sense that 2019 will be a year of true transformation for market research. While I do think privacy and the continued emergence of new tools will be an ongoing point of conversation for research, there are bigger trends lurking below the surface. These trends will have big implications for both clients and research vendors, as well as for consumer and business audiences whose attitudes, behaviors and emotions are increasingly at the center of customer-obsessed brands. In 2018, we saw significant consolidation in the market research agency space, including Ipsos’ acquisition of GfK’s customer research business, and the merger of sample heavyweights SSI and Research Now. Going big certainly has some advantages: economies of scale, for instance, not to mention the ability to have a more global presence and reach. But based on dozens of conversations over the past six months, I believe clients will continue to gravitate towards smaller agencies in 2019. Part of it is because of expertise, and part of if it because of innovation. When companies work with big agencies, they are often doing so because it’s hard to change legacy research programs and protocols; plus they often have senior agency executive relationships. But actual client work is often pushed to junior researchers, resulting to frustration on the part of the clients who “bought” senior consultants but “received” junior task-masters, many of whom are constantly changing accounts. With smaller agencies, senior leaders are more likely to stay engaged in client relationships, providing a depth to analysis and activation many client-side researchers increasingly value as their own ranks of senior talent have ebbed in recent years. Perhaps a bigger motivator though is the thirst among clients for innovative solutions that get inside the hearts and minds of their customers. The most forward-thinking clients know that they need more than just a new shiny tool or additional data stream—they need a holistic understanding of what influences their customers’ perceptions, beliefs and behaviors. Companies want to uncover human truths consumers can’t always articulate. As a result, there’s a lot of interest in finding new approaches and technologies to uncover these insights. More clients are telling me they want to work with smaller, more nimbler partners who are leading in these new innovations. This trend of going small is not unique to market research. In advertising, boutique agencies have been gaining on legacy shops for a few years now. And in 2019, with the need to be mobile-first and use more immersive technologies to uncover the true drivers of customer behavior, we’ll see more clients gravitating towards smaller firms. In 2018, conversational technology was one of the biggest trends in marketing. Companies like Drift, Intercom and Hubspot have been leading this new space, providing marketers with platforms to use conversational technologies to engage customers and prospects. While sometimes dismissed as gimmicky, conversational technology is in fact here to stay. According to Gartner, conversational interfaces have already reached the tipping point of adoption. Conversational technology is also one of the top strategic technology trends for 2019, according to the analyst firm. This conversational trend is already spilling over into the insights industry. According to Insight Platforms, at least 10 companies, including our sister company Rival Technologies, now offer conversational technology (such as chatbots) for insight-gathering. There are compelling reasons why conversational technologies will soon become a mainstay in the research tech ecosystem. For one, this innovation makes it easier for researchers to reach respondents in engaging ways. For a long time, our industry has relied on emails to distribute surveys, but conversational tech opens the door to engage customers via modern messaging platforms, SMS and mobile apps. At Reach3 Insights, we’ve been applying conversational insight approaches for clients from a wide variety of industries, and respondents have told us this approach is more fun, easy and enjoyable than traditional online surveys. We’ve even used this new technology to engage consumers directly within Instagram and Snapchat—something that would have been difficult to do via traditional email surveys. More companies are, thankfully, waking up to the fact that the research experience is not separate from the customer experience. A subpar research experience not only reduces response rates and the quality of insights you get, it also reflects badly on your brand. It has never been more urgent for the industry to re-imagine the research experience. Long and boring engagements have contributed to declining trust for the industry. And despite the wide adoption of mobile-optimized exercises, the experience remains mostly clunky and unsatisfactory for respondents. It is still overly formal and clinical, leading to respondents having a “research mindset” when engaging in these exercises instead of simply providing unedited feedback and opinions. The solution is to completely recalibrate how we think of research engagements. Rather than asking consumers to come to us to provide feedback, we as an industry should strive to meet consumers where they already are, capturing insights from them “in the moment.” Rather than sending boring email surveys that sit in cluttered inboxes, we should be creating ongoing, two-way dialogues with customers. As Andrew Reid, founder of Rival Technologies and Vision Critical, likes to say, the research experience needs to mimic how people talk to each other in order for us to get truly honest and authentic insights. So how do we become more authentic? For one, we should revisit how we ask our questions. In real conversations between humans, no one really says, “from a scale of one to 10, tell me how you’d rate this brand.” This is research-speak. At Reach3, we find trimming the fat of common research approaches to make them more conversational results to a more pleasant and fun experience for consumers, not to mention deeper, more organic insights. Research, for the most part, is still very siloed when it comes to capturing different aspects of the customer experience. One might do surveys to understand opinions, do focus groups to more deeply understand emotions, and then do audits or transactional data capture to validate behaviors. Increasingly, innovative approaches allow us to understand different aspects of the customer journey in one research experience. Through new conversational insight solutions, it’s now possible to capture people’s behaviors and opinions in the moment, while also contextualizing these data with highly emotive videos, images and emojis. For example, you could engage a customer in a research exercises while she’s in your store, asking if she’s noticed anything new, and capturing her stream-of-consciousness feedback via video or voice. This is a much better experience than asking for feedback a few days after the customer’s visit and then doing additional activities later to uncover qualitative insights. Plus, it’s just like how consumers already engage with their friends and family members. The beauty of capturing immersive real-time quantitative and qualitative insights via conversational techniques (what I like to call truly “experiential insights”) is that it creates a win-win situation. It requires less time and effort from respondents because they are using messaging-based inputs they are well accustomed to, and it provides a faster way for brands to get deeper, more authentic insights. 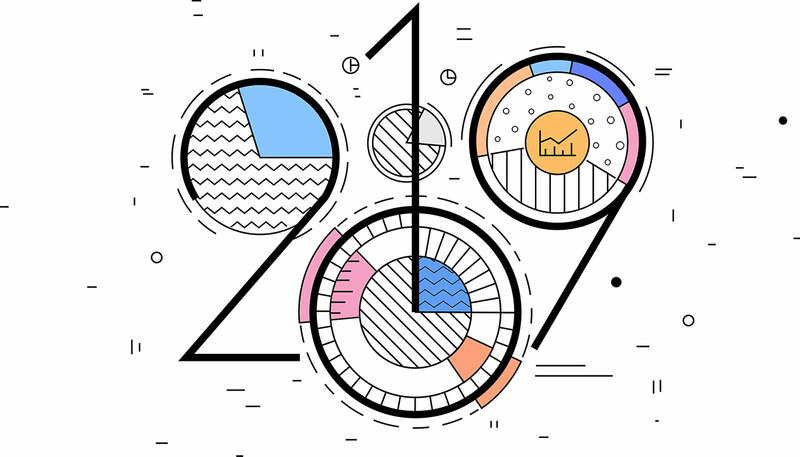 I suspect that in 2019 we’ll see agile enterprises increasingly tapping into the power of conversation-based experiential insights to get more timely and relevant feedback they can use to engage customers, build brands and drive growth. Great post Matt. We see similar trends at Indeemo where clients are partnering with smaller, more agile teams using innovative methodologies and technologies to capture authentic, in the moment insights of the real consumer / shopper / patient experience. We also see a lot of “big data rich” clients now who are drowning in analytics yet have no visibility of the real customer and their real experience. 2019 will be an exciting year. Best of luck to you and all your colleagues at Reach3.